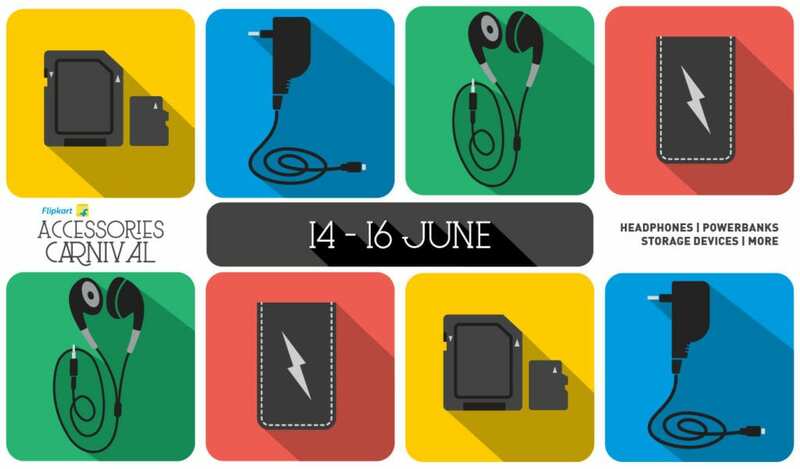 Soon after the prosperous launch of Flipkart Accessories Carnival the previous month, Flipkart is back once again with the second edition of the accessories bonanza which will have offers raining down on electronics. The online festival will run 3 days starting today. Visit Flipkart.com in between 14th, 15th and 16th June to avail the offers. Be it your hobby or essentials, there will be heavy discounts on all the accessories products ranging from Headphones, powerbanks to pendrives and hard drives for storage. 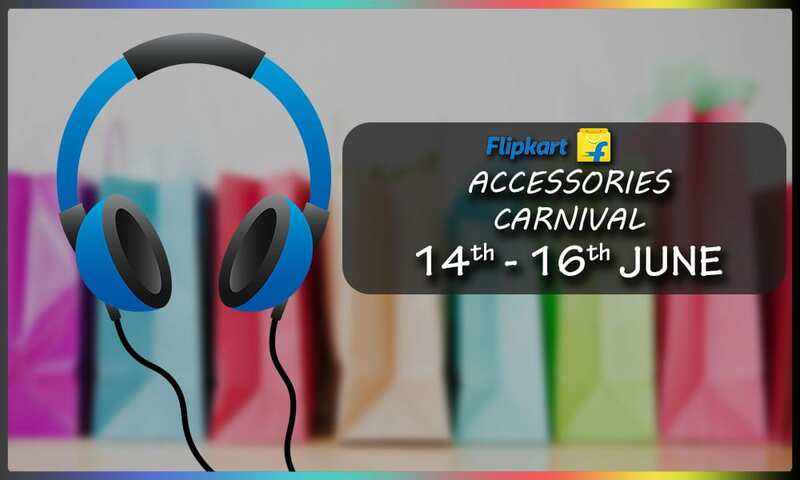 The brands participating in the Flipkart Accessories Carnival are subsequent in promoting their brands via the Mega sale, which will be running straight for 72 hours for your convenience. The carnival begins today and will be extended till June 16, which means you’ll have enough time to compare, seek advice or even doublethink before looting the products at the discounted price. Flipkart Accessories Carnival will be a monthly event happening on the Flipkart’s website which will feature a different type e-Tailing. The components of the sale will cover all the requirements for our daily usage, you can buy external hard disks if you like to have backup of your important files, stereofied earphones mainly for gaming and music lovers. Or you can get a flat 50% off on powerbanks if you are a traveler and mobile gamer. Other than the sale, Flipkart will also introduce a contest for the people with intelligent brains, they’ll ask five questions on their facebook page and the users giving the correct answers will be randomly chosen, who will be awarded with Flipkart eVouchers worth INR 2,000 each. Make sure you tune in to their official page to win the prize. Also, tune in to Flipkart.com’s website to attain maximum discounts on the products. If you are a participant of The Flipkart Gaming Online Championship, now is the time to buy some discounted gaming products at your possession!